The two companies have launched solutions that enable merchants equipped with just an NFC mobile phone to accept contactless bank cards and more. New products from Charge Anywhere and from Zenius Solutions enable merchants to accept contactless card payments via an NFC phone. ZeniusMobilePOS enables merchants to accept contactless US and EMV bank card payments and will also handle a variety of contactless couponing, ticketing, transport and other applications. “Compared to current mobile merchant options which demand manual entry of credit card information, ZeniusMobilePOS offers a next-generation competitive edge: A faster and more secure transaction where the card never has to leave the hand of the customer,” says Zenius. ZeniusMobilePOS is currently running on Nokia 6131 and 6212 handsets, but can be ported to additional hardware platforms upon request. The company also provides libraries under the Zenius Contactless Payment Acceptance API to allow the easy addition of contactless payment acceptance to an existing solution. A second Zenius product, ZeniusMobilePay, enables NFC phones to send payments, tickets and coupons to a POS system or other payment acceptance mechanism and “beyond mobile software, Zenius is also working on a broader system infrastructure, a portable set of frameworks that will allow any platform — mobile, acceptance and network services — to support contactless transactions,” Zenius’ Jenny Rae Cortese told NFCW. The company charges a one-time company-wide license fee for ZeniusMobilePOS, plus an on-going maintenance fee. A demo version of the software is available, free of charge, on request. Charge Anywhere‘s product enables both Visa PayWave and MasterCard PayPass transactions to be accepted by merchants equipped with a Nokia NFC phone. You're right, it's not too clear. 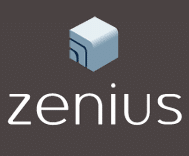 Zenius is happy to provide demo versions of their software free of charge, though. Just email info@zeniussolutions.com for a copy. We will make improvements in our next video to include handset screenshots. In the meantime, you can download PDFs from our website where you can see the individual screens. We do provide ZeniusMobilePOS demo for Nokia 6131 and 6212 handsets so you can test it yourself. It is able to read real contactless payment cards.